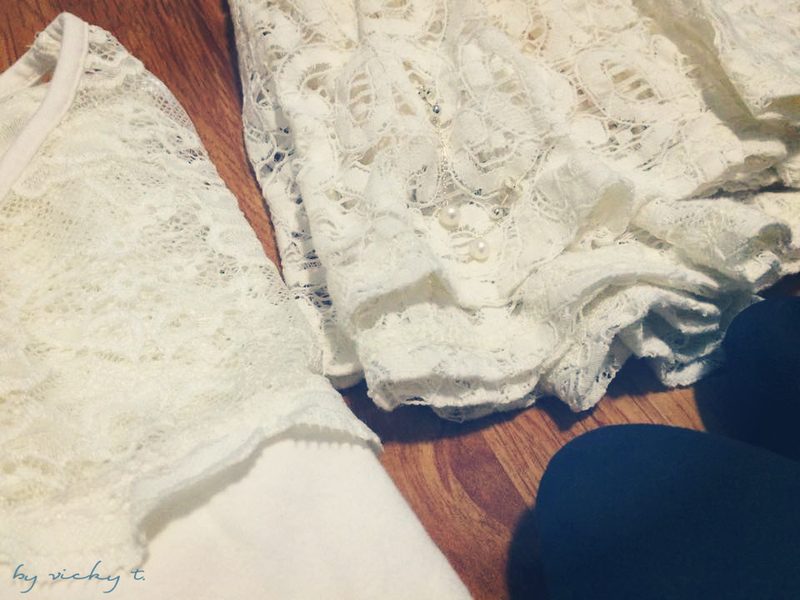 I have been wearing this white lace shirt quite a lot lately. It’s also the shirt I’m wearing in the avatar on the right. 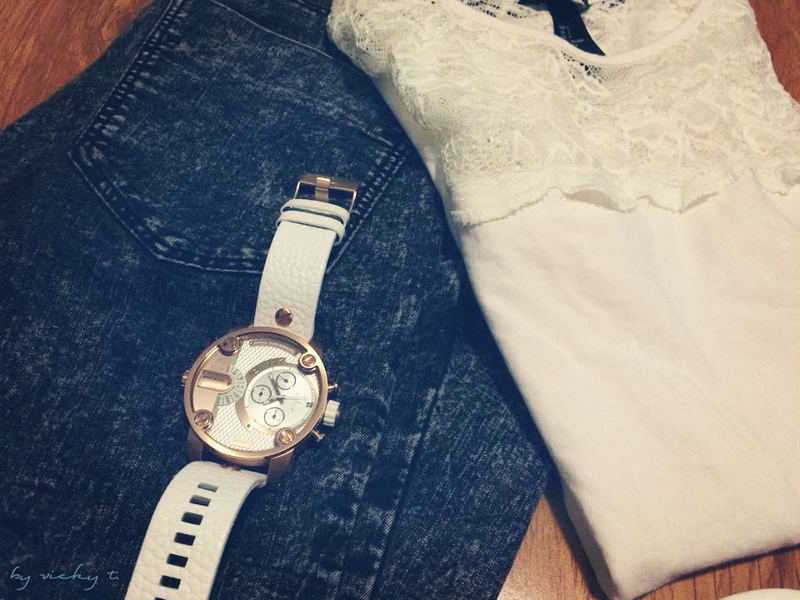 It’s one of my favorite shirts because of the lace details and it’s very easy to style with. After work if I have a dinner to attend, then I could just change out the black pants, for a skirt, and earrings. I really love the lace detailing in clothes so this is completely a lacy dinner outfit. On the weekends, this shirt could be styled with jeans, and sandals. The pattern and color of these jeans makes for a edgier look so I needed a unique accessory—a giant watch. 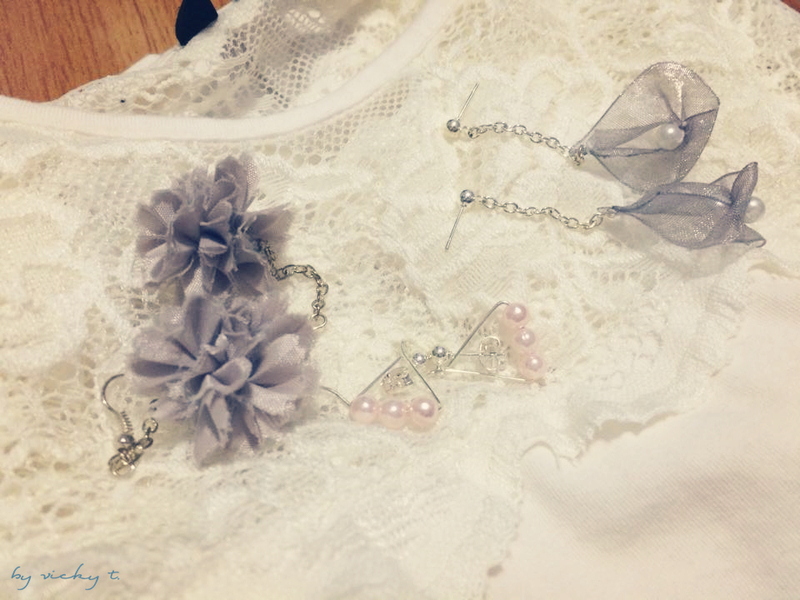 And of course, I style this shirt a lot times with the earrings I created, which you could find in the previous posts. I hope I don’t look like I’m always wearing this shirt haha… Really, I have other shirts. Love this especially the white sandals! Your blog is really nice. I’ve just started my own I’d love you to take a look if you don’t mind!